Until now, if you purchased an iPhone in China you did so without having access to Wifi. That means, no Internet! China actually refused, up until now, to have any Wifi enabled devices in the country unless they were running on the official government Wifi network called WAPI (Wired Authentication and Privacy Infrastructure). 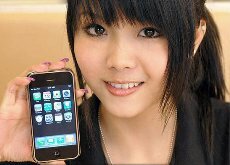 But now China Unicom is working with Apple to finally launch a Wi-Fi version of the iPhone, according to The Wall Street Journal. Due to a relaxation of rules, devices sold in China can offer Wi-Fi as long as they also include WAPI. Speaking with reporters at the National People’s Congress, Unicom Chairman Chang Xiaobing said Saturday that the change in regulations has opened the door for a new iPhone with built-in Wi-Fi, the Journal reported.